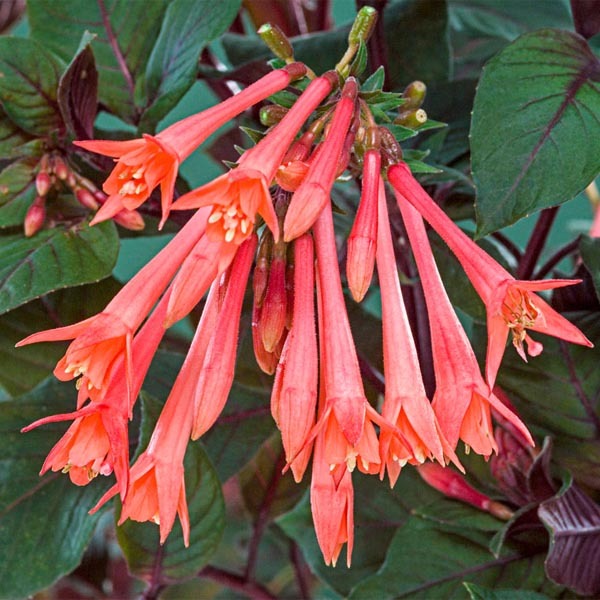 A great container plant for the shaded porch or patio, Gartenmeister Fuchsia is a vigorous grower with an upright habit. Its showy, dark bronze and green leaves are veined with red-purple hues. The single, long-tubed, brick red flowers bloom all summer until frost. To encourage more blooms, lightly shear and fertilize the plant midway through the growing season. 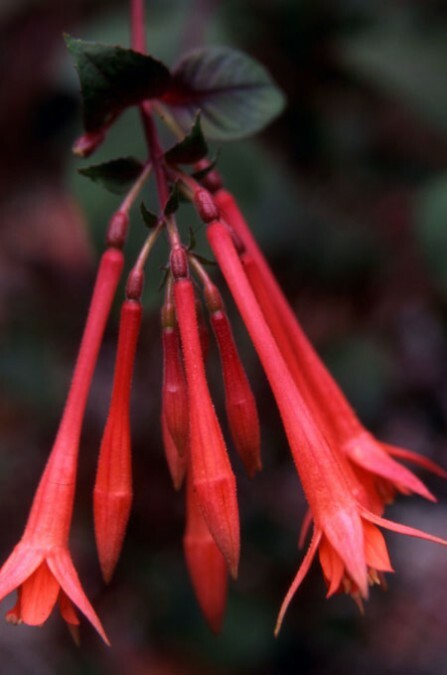 This fuchsia can also be planted in the partially shaded garden. While it will tolerate full sun, it thrives in partial shade. Photo courtesy of Spring Hill. 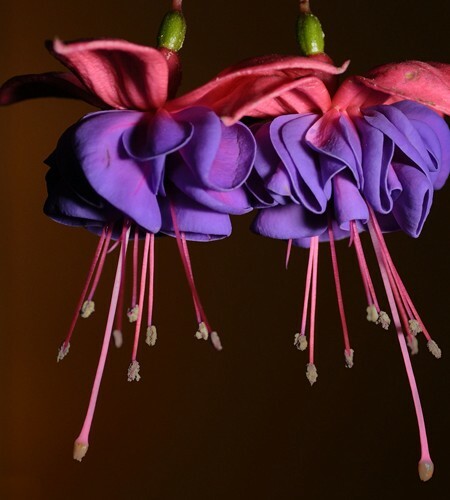 Be the first to review “Upright fuchsia ‘Gartenmeister’” Click here to cancel reply.